2017-18 Panini Prizm Fast Break ($129.95) arrives Thursday at Sports Cards Plus, a.k.a. The Super Hit Factory delivering all the fun of Prizm Hobby Basketball for half the price. Each Box contains One Autograph, 11 Fast Break Prizms, and Six Inserts! --- 4 Parallels #'d to 175 or less PER BOX! 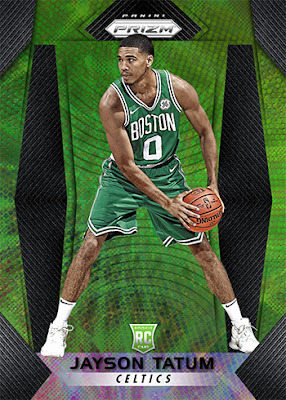 --- Look for Fast Break Prizms of base cards, inserts and autographs! All Fast Break Prizms are printed on a special version of Prizm technology and are exclusively available in Fast Break Prizm Basketball. --- All autographs in the Fast Break Edition are paralleled off of the Base Set! Look for Fast Break Autographs with parallels as rare as the Black Prizms #'d /1! --- Key Rookies: Lonzo Ball, Markelle Fultz, De'Aaron Fox, Jayson Tatum, Lauri Markkanen, Kyle Kuzma, Bam Adebayo, Josh Jackson, Justin Jackson, Donovan Mitchell, Luke Kennard, Dennis Smith, Jr., John Collins. 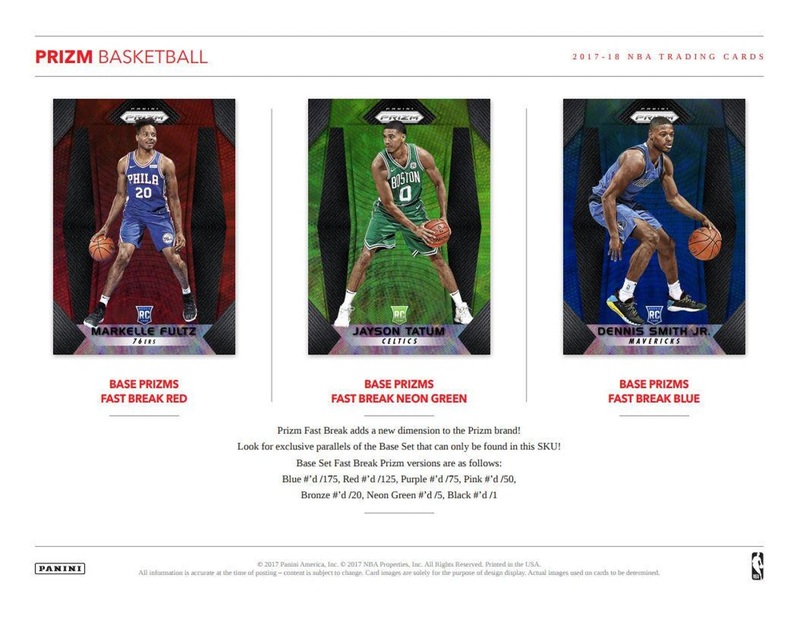 BASE PRIZMS FAST BREAK RED/BASE PRIZMS FAST BREAK NEON GREEN/BASE PRIZMS FAST BREAK BLUE: Prizm Fast Break adds a new dimension to the Prizm brand! 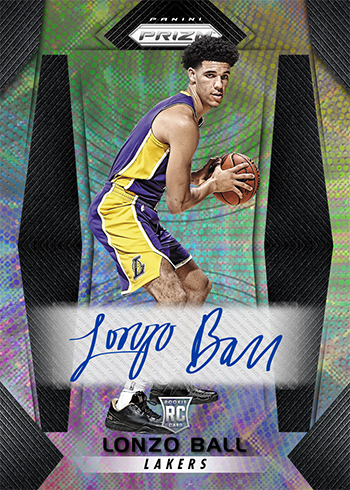 Look for exclusive parallels of the Base Set that can only be found in Fast Break Prizm Basketball!